Willie hit the Top 40 on the Billboard Hot 100 chart with "Blue Eyes Crying In The Rain." Willie was nominated for an American Music Award for Favorite Country Single ("Blue Eyes Cryin' In The Rain"). Willie won a Grammy Award for Best Country Vocal Performance - Male ("Blue Eyes Crying In The Rain"). Willie won an American Music Award for Favorite Country Single ("Blue Eyes Cryin' In The Rain"). Willie was nominated for an American Music Award for Favorite Country Band/Duo/Group (with Waylon Jennings). Willie won 2 Grammy Awards for Best Country Vocal Performance - Male ("Georgia On My Mind") and Best Country Vocal Performance by a Duo or Group ("Mama Don't Let Your Babies Grow Up To Be Cowboys" with Waylon Jennings). Willie was nominated for an American Music Award for Favorite Country Male Artist. Willie hit the Top 40 with "My Heroes Have Always Been Cowboys." Willie was nominated for 3 Grammy Awards for for Best Country Vocal Performance - Male ("Whiskey River"), Best Country Vocal Performance by a Duo or Group ("Heartbreak Hotel" with Leon Russell), and Best Inspirational Performance ("I Saw The Light" with Noel Paul Stookey). Willie hit the Top 40 with "On The Road Again." Willie won a Grammy Award for Best Country Song ("On The Road Again") and was nominated for Best Country Vocal Performance - Male ("On The Road Again"). Willie won 2 American Music Awards for Favorite Country Male Artist and Favorite Country Single ("On The Road Again"), and was nominated for Favorite Country Band/Duo/Group (with Ray Price). Willie was nominated for a Grammy Award for Best Country Vocal Performance - Male (Somewhere Over The Rainbow). Willie hit the Top 40 with "Always On My Mind." Willie hit the Top 10 with "Always On My Mind." Willie hit the Top 40 with "Let It Be Me." December 31: Willie topped the Billboard 1982 Year-End Chart Toppers as the Top Country Artist, Top Country Artist - Male, Top Country Album Artist, and Top Country Album Artist - Male, and with the Top Country Album (Always On My Mind) and Top Country Single ("Always On My Mind"). Willie won 2 American Music Awards for Favorite Pop/Rock Album and Favorite Country Album (Always On My Mind). Willie won a Grammy Award for Best Country Vocal Performance - Male ("Always On My Mind"), and was nominated for Record of the Year ("Always On My Mind") and Best Country Vocal Performance by a Duo or Group ("(Sittin' On) The Dock Of The Bay" with Waylon Jennings). .
December 31: Willie topped the Billboard 1983 Year-End Chart Toppers as the Top Country Artist - Male and Top Country Album Artist - Male. Willie won an American Music Award for Favorite Country Male Artist and was nominated for Favorite Country Album (Pancho & Lefty with Merle Haggard). Willie was nominated for 2 Grammy Awards for Best Country Vocal Performance by a Duo or Group (Pancho & Lefty with Merle Haggard and Take It To The Limit with Waylon Jennings). Willie hit the Top 40 with Julio Iglesias with "To All The Girls I've Loved Before." Willie hit the Top 10 with Julio Iglesias with "To All The Girls I've Loved Before." December 31: Willie topped the Billboard Year-End Chart-Toppers as the Top Country Album Artist - Male and with the Top Country Single ("To All The Girls I've Loved Before" with Julio Iglesias). Willie was nominated for 2 Grammy Awards for Best Country Vocal Performance - Male ("City Of New Orleans") and Best Country Vocal Performance by a Duo or Group ("As Time Goes By" with Julio Iglesias). Willie won 2 American Music Awards for Favorite Country Male Artist and Favorite Country Single ("Forgiving You Was Easy"), and was nominated for Favorite Country Album (City Of New Orleans). Willie was nominated for 2 Grammy Awards for Best Country Vocal Performance - Male ("Forgiving You Was Easy") and Best Vocal Country Performance by a Duo or Group (Highwayman with Waylon Jennings, Johnny Cash, and Kris Kristofferson). Willie won an American Music Award for Favorite Country Male Artist. Willie was honored with the Award of Merit at the American Music Awards. Willie was nominated for a Grammy Award for Best Country Vocal Collaboration (Highwayman 2 with Waylon Jennings, Kris Kristofferson and Johnny Cash). Willie was nominated for a Grammy Award for Best Traditional Pop Vocal Performance (Moonlight Becomes You). Willie was nominated for a Grammy Award for Best Country Vocal Performance - Male ("Peach Pickin' Time Down In Georgia"). Willie was nominated for 2 Grammy Awards for Best Pop Instrumental Performance ("Night And Day") and Best Country Collaboration with Vocals ("Going Away Party" with Manhattan Transfer). Willie was nominated for a Grammy Award for Best Music Video - Long Form (Teatro). Willie was nominated for 2 Grammy Awards for Best Country Vocal Performance - Male ("Marie") and Best Country Album (Rainbow Connection). Willie won a Grammy Award for Best Country Collaboration with Vocals ("Mendocino County Line" with Lee Ann Womack from the compilation Stars & Guitars) and was nominated for Best Country Album (The Great Divide). Rolling Stone: The 500 Greatest Albums of All Time included Red Headed Stranger (1975) at # 184 and Stardust (1978) at # 257. Willie was nominated for 4 Grammy Awards for Best Country Album (Run That By Me One More Time with Ray Price and Live And Kickin') and Best Country Collaboration with Vocals ("Wurlitzer Prize (I Don't Want To Get Over You)" with Norah Jones and "Beer For My Horses" with Toby Keith). Willie could be heard on the Ray Charles LP Genius Loves Company. # 396 on the Top Pop Artists of the Past 25 Years chart. Willie was nominated for 2 Grammy Awards for Best Country Vocal Performance - Male ("You Are My Flower") and Best Country Collaboration with Vocals ("Pancho & Lefty" and Merle Haggard and Toby Keith). Willie was nominated for 2 Grammy Awards for Best Country Vocal Performance - Male ("Good Ol' Boys") and Best Country Collaboration with Vocals ("Dreams Come True" with Norah Jones). Willie was nominated for a Grammy Award for Best Country Album (You Don't Know Me: The Songs Of Cindy Walker). 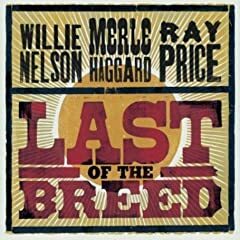 Willie teamed up with Ray Price and Merle Haggard for the LP Last Of The Breed (Billboard peak: # 64 - Entertainment Weekly: B+). Willie could be heard on the tribute LP Anchored In Love: A Tribute To June Carter Cash on the track "If I Were A Carpenter." Willie could be heard on the Fats Domino tribute compilation Goin' Home: A Tribute To Fats Domino with "I Hear You Knockin'." Willie released Moment Of Forever (Billboard peak: # 56 - Rolling Stone: ). Willie won a Grammy Award for Best Country Collaboration with Vocals ("Lost Highway" with Ray Price). Willie released Two Men With The Blues with Wynton Marsalis (Billboard peak: # 20 - Entertainment Weekly: B+). Willie topped the Billboard Top Jazz Albums chart with Two Men With The Blues. Willie could be heard on the compilation LP The Imus Ranch Record on the track "What A Difference A Day Makes." Willie performed at the 21st annual Farm Aid concert held at the Comcast Center in Massachusetts. Willie could be heard on the Kenny Chesney LP Lucky Old Sun on the track "That Lucky Old Sun." Rolling Stone: 'The Greatest Singers' includes Willie at # 88. Willie released Willie And The Wheel (Billboard peak: # 90 - Rolling Stone: ) with Asleep At The Wheel. The compilations Lost Highway (Billboard peak: # 173) and The Essential 3.0 Willie Nelson were released. Willie released American Classic (Billboard peak: # 43 - Rolling Stone: ). 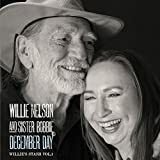 Willie was nominated for 3 Grammy Awards including Best Pop Collaboration with Vocals ("Baby, It's Cold Outside" with Norah Jones), Best Traditional Pop Vocal Album (American Classic), and Best Americana Album (Willie And The Wheel). Willie could be heard on the soundtrack for Valentine's Day with the track "On The Street Where You Live." Nelson was nominated for a Grammy Award for Best Americana Album (Country Music). Nelson along with Norah Jones and Wynton Marsalis released Here We Go Again. Nelson could be heard on the Snoop Dogg LP Doggumentary Music on the track "Superman." Willie could be heard on the Tony Bennett LP Duets II on the track "Sunny Side Of The Street." Remember Me 1 was released. March 5: Willie could be heard on the Lionel Richie LP Tuskegee on the re-recorded duet of "Easy." Willie released Let's Face The Music And Dance. To All The Girls... was released. June 17: Willie released Band Of Brothers. Tracks: "Bring It On" - "Guitar In The Corner" - "The Wall" - "Whenever You Come Around" - "Wives And Girlfriends" - "I Thought I Left You" - "Send Me A Picture" - "Used To Her" - "The Git Go" (with Jamey Johnson) - "Band Of Brothers" - "Hard To Be An Outlaw" - "Crazy Like Me" - "The Songwriters" - "I've Got A Lot Of Traveling To Do"
July 5: Willie topped the Billboard Country Albums chart with Band Of Brothers. December 2: December Day (Willie's Stash, Vol. 1) with Sister Bobbie was released. June 2: Willie teamed up with Merle Haggard and released Django And Jimmie. Tracks: "Django And Jimmie" - "It's All Going To Pot" - "Unfair Weather Friend" - "Missing Ol' Johnny Cash" - "Live This Long" - "Alice Hulaland" - "Don't Think Twice, It's Alright" - "Family Bible" - "It's Only Money" - "Swinging Doors" - "Where Dreams Come To Die" - "Somewhere Between" - "Driving The Herd" - "The Only Man Wilder Than Me"
June 20: Willie and Merle Haggard topped the Billboard Country Albums chart with Django And Jimmie. February 26: Willie released Summertime: Willie Nelson Sings Gershwin. 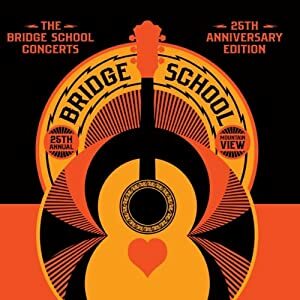 Tracks: "But Not For Me" - "Somebody Loves Me" - "Someone To Watch Over Me" - "Let's Call The Whole Thing Off" - "It Ain't Necessarily So" - "I Got Rhythm" - "Love Is Here To Stay" - "They All Laughed" - "Embraceable You" - "They Can't Take That Away From Me" - "Summertime"
May 6: Willie could be heard on the Cyndi Lauper LP Detour on the track "Night Life." July 1: Nelson could be heard on the live compilation Crossroads Revisted - Selections From The Crossroads Festivals. September 16: Willie released For The Good Times: A Tribute To Ray Price. Tracks: "Heartache By The Number" - "I'll Be There" - "Faded Love" - "It Always Will Be" - "City Lights" - "Don't You Ever Get Tired Of Hurting Me" - "Make The World Go Away" - "I'm Still Not Over You" - "Night Life" - "Crazy Arms" - "Invitation To The Blues" - "For The Good Times"
February 12: Willie won a Grammy Award for Best Traditional Pop Vocal Album (Summertime: Willie Nelson Sings Gershwin). 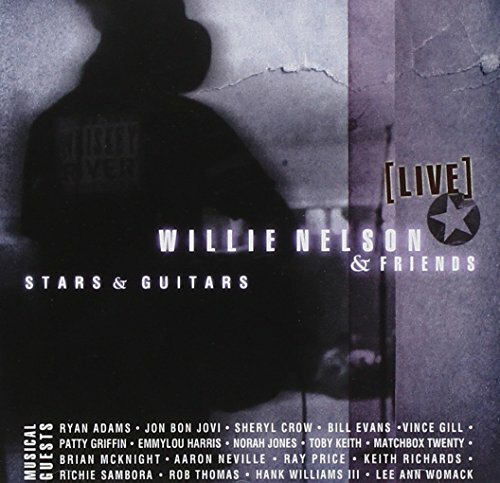 April 28: Willie released God's Problem Child. Tracks: :"Little House On The Hill" - "Old Timer" - "True Love" - "Delete And Fast Forward" - "A Woman's Love" - "Your Memory Has A Mind Of Its Own" - "Butterfly" - "Still Not Dead" - "God's Problem Child" - "It Gets Easier" - "Lady Luck" - "I Made A Mistake" - "He Won't Ever Be Gone"
May 20: Willie topped the Billboard Country Albums chart with God's Problem Child. June 9: Willie could be heard on the Music From 'The American Epic Sessions' compilation. October 20: Willie And The Boys: Willie's Stash Vol. 2 was released. Tracks: "Move It On Over" - "Mind Your Own Business" - "Healing Hands Of Time" - "Can I Sleep In Your Arms" - "Send Me The Pillow You Dream On" - "I'm So Lonesome I Could Cry" - "I'm Movin' On" - "Your Cheatin' Heart" - "My Tears Fall" - "Cold, Cold Heart" - "Mansion On The Hill" - "Why Don't You Love Me"
April 6: Willie could be heard on the tribute compilation Restoration: Reminagining The Songs Of Elton John And Bernie Taupin on the track "Border Song." April 27: Willie released Last Man Standing. Tracks: "Last Man Standing" - "Don't Tell Noah" - "Bad Breath" - "Me And You" - "Something You Get Through" - "Ready To Roar" - "Heaven Is Closed" - "I Ain't Got Nothin'" - "She Made My Day" - "I'll Try To Do Better Next Time" - "Very Far To Crawl"
September 14: Nelson released My Way. Tracks: "Fly Me To The Moon" - "Summer Wind" - "One For My Baby" - "A Foggy Day" - "It Was A Very Good Year" - "Blue Moon" - "I'll Be Around" - "Night And Day" - "What Is This Thing Called Love" - "Young At Heart" - "My Way"
February 10: Willie won a Grammy Award for Best Traditional Pop Vocal Album (My Way) and was nominated for Best American Roots Performance ("Last Man Standing").